Please download our new e-brochure here. The next time your design agency come in with some beautiful, stylish visuals ask them this simple question. If they’ve done their homework properly they will have an immediate response, referring to what makes your school truly distinctive. If they waffle on about current trends and cool colours, it’s back to the drawing board for some serious thinking. Great ideas stem from a true understanding of what needs to be communicated and to whom. And a great idea, built on a firm foundation often leads to great, and effective design. Abbot’s Hill, a successful, nurturing and supportive school for girls, with a new Nursery called Tiny Toes, needed a new prospectus and film to develop its brand. All was summed up in one line – Every Step of the Way. Simple, immediate, eloquent and spot on brand. This lead to a distinctive and evocative creative treatment, a million miles from a standard prospectus, with an engaging and emotive film, streamed onto the website. The response, “We absolutely love it”. “Who came up with that idea? – it’s perfect”. And Open Day numbers sky high. Understanding + insight + innovation = results. As a new Head, the messages you communicate to your staff, parents, students and prospects is paramount. They may all be beginning to formulate, via Google and social media, the future direction of your school. Taking control of those messages with focus and clarity is, in effect branding. And that is what we are expert in, having worked with over 300 schools over the past fifteen years. There are many components of a successful brand. Messages, both spoken and written, tone of voice, images (still and moving). All combine to define the reputation and differentiating characteristics of your particular school. Consistently applied across all marketing and communication material, a compelling, coherent, cohesive message will be communicated to your audience, whether through website, prospectus, signs, mini buses, marketing material, the voice on the end of the phone, the welcome at reception or match teas. Reviewing a brand is more about a mindset and creating a culture than necessarily changing a logo. In fact for some of the most effective brand campaigns we have devised, the logo hasn’t changed at all. Whilst our brand identities are all very different, the common denominator is the platform upon which everything is built. This firm foundation is the difference between developing a successful brand that adds value to the school and a superficial re style that could even damage the school. A brand is something that already exists within an organisation that needs to be identified, clarified, focused and accurately communicated through various channels. Through asking the right questions of the right people not only will the approach, direction and strategy become apparent, but also a real sense of involvement, buy in and ownership be invoked. Both are essential for the success of your brand. Equally important though, is the creative interpretation and execution. Quite often a light touch is required. Too radical an approach could send the wrong message. A solution reflecting heritage and tradition, treated in a crisp, clean contemporary might be more appropriate. There is no generic approach. No magic, one size fits all. Creativity is all about something that feels right, that reflects the positioning and values identified in the foundation work. An inspired idea, simply and elegantly executed with wit and style is key. And when applications readily slot into place you know that you’re onto a winner. If you are planning on reviewing your positioning, communications or marketing material I would welcome an opportunity to visit for an initial discussion. So, here we are, post Brexit, new PM, post summer holidays, new term, maybe a new HM (all the very best for all those starting at new schools this September). Lots of change. New horizons. New challenges. I’ve spent the summer on the client side of the fence, writes Paul Kilvington, looking after strategy, communications and marketing for a marine business in Menorca. It’s been a fascinating insight. I’ve long thought that experience outside the education sector essential in providing a broad and balanced service to clients. What I perhaps hadn’t fully appreciated was just how useful practical, hands on, experience at the sharp end, might be. We’ve re focused the marine business, clearly defining products and services, developed a brand architecture and distinctive design style, launched two new divisions of the business, designed and produced a new website, literature, signs, vehicle livery, uniform, advertisements, emailers and footers, hosted events…. Sound familiar? It should. Every bit is just as applicable to a school. We are all forever learning and even with nearly thirty years experience, this has provided me a fascinating insight into not only creating strategic, innovative, distinctive design, but also design that makes a difference and is really effective, both in terms of cost and return on investment and also achieving objectives. There are actually many parallels. A client base of high net worth individuals, some with significant disposable income, some less ‘cash rich’. A ‘product’ that is neither an impulse purchase nor a necessity. Similar issues with regard to affordability and perceived value for money. As such reputation, communication and differentiation is paramount; the power of the brand. In both sectors our audiences have plenty of choice and what we really want is for people to make the right, or best, choice for themselves, and in the case of a school, for their children. There’s been much talk about ‘brand’ recently, with even the more cynical getting on the ‘brand wagon’. Many still think of branding as a makeover at best or as just a new logo at worst. Something to freshen up existing material. But of course, in real terms reviewing a brand is more about a mindset and creating a culture than necessarily changing a logo. In fact for some of the most effective brand campaigns we have devised, the logo hasn’t changed at all. We are launching four new school brand identities this September, plus two new campaigns and two strongly branded, very distinctive websites. Whilst all are very different, the common denominator is the platform upon which everything is built. This firm foundation is the difference between developing a successful brand that adds value to the business and a superficial re style that could even damage the business. A strong brand is not something that is imposed, or created as a piece of graphic styling, by a third party. A brand is something that already exists within an organisation that needs to be identified, clarified, focused and accurately communicated through many channels. Often it helps for an expert third party to help identify and define this. Every time it comes from within. Through asking the right questions of the right people not only will the approach, direction and strategy become apparent, but also a real sense of involvement, buy in and ownership be invoked. Both are essential for the success of your brand. Equally important though is the creative interpretation and execution. For many designers, particularly those with little experience of the sector, this is all about on trend, cool styling designed to impress contemporaries and judging panels. But that should be a bonus and a by product of well considered and appropriate design. Quite often a light touch is required. Too radical an approach could send the wrong message. A solution reflecting heritage and tradition, treated in a crisp, clean contemporary might be more appropriate. There is no generic approach. No magic, one size fits all. Creativity is all about something that feels right, that reflects the positioning and values identified in the foundation work. An inspired idea, simply and elegantly executed with wit and style is a winner. And when applications readily slot into place you know that you’re onto a winner. There are many components of a successful brand. Messages, both spoken and written, tone of voice, images (still and moving). All combine to define the reputation and differentiating characteristics of your particular school. Consistently applied across all marketing and communication material, a compelling, coherent, cohesive message will be communicated to your audience, whether through signs, mini buses, marketing material, the voice on the end of the phone, the welcome at reception or match teas. It doesn’t matter how loudly you shout, how stylish your new brand, how much money you spend on ads and exhibitions or how much time updating your website and manipulating social media, if your message isn’t clear and focused you won’t be heard. You won’t be listened to because people won’t be paying attention. Your beautifully crafted material will simply blend in with the plethora of that of other schools. You could of course stand out through design. Some do, but mostly for the wrong reasons. On-trend, tricksy solutions can win accolades from like-minded perpetrators but will probably not achieve your marketing objectives. Effective design is built on a firm, strategic foundation. A clear understanding of your DNA, your particular audience and the synergy between the two. And it has often been proved that a simple, innovative and elegant visual interpretation is by far the most creative – and effective. Putting your unique message at the heart of everything you think about, do and say will automatically differentiate your school. If that is portrayed in a consistent, coherent, compelling way, you will stand out from the crowd and clearly communicate why you are a first choice school for a particular prospective pupil. It will help build your reputation. This is branding. So, you might be wondering, are the best brands not created by designers at all, but by market research companies? Well not exactly. Certainly, asking the right questions is essential and will provide the intel. to inform the definition of your message. But the best designers are strategists rather than just stylists and as such, with an incisive and innovative mind, best placed to help you discover that nugget that will encapsulate your positioning and values. Involving your designer at the earliest possible opportunity, before you’ve even formulated a creative brief, will pay dividends. A good designer working alongside your leadership team will bring another dimension to the dynamic and provide a valuable, external perspective. The right designer will reassure governors, engage with your community and inspire your team. Apple is arguably the world’s greatest brand. It is no coincidence that its success is as a result of the visionary, Steve Jobs, not only staying true to his ethos and clearly understanding his audience and their future, yet to be recognised, requirements, but also making great design the core of the business (no pun intended). Arise Sir Jony, custodian of the Apple brand and designer of truly life-changing products that in some way or other have affected every one of us. Apple constantly challenges the ordinary and inspires the exceptional. Even though it doesn’t exist (yet!? ), we can imagine how an Apple School might look and feel. How strong a brand is that? Of course you don’t have an Apple marketing budget. Or a team of thousands to implement your marketing plan. But you can take on board its culture, ethos and attitude. Apple had and still has, a clear vision, understanding and belief. Through thick and thin this has ensured its continued success and status. On message. On brand. On track. Does it have to be so different for a school? Creative Business Leaders shares the experiences of prominent, successful and influential directors in the creative industries. They conduct interviews with some of the leading figures in our industry and share them online. These insightful and stimulating conversations, covering key business topics, will pass on words of wisdom as well as revealing many learning points. Content is driven by leaders for leaders, so is a valuable resources for board level directors and entrepreneurs on the same wavelength. 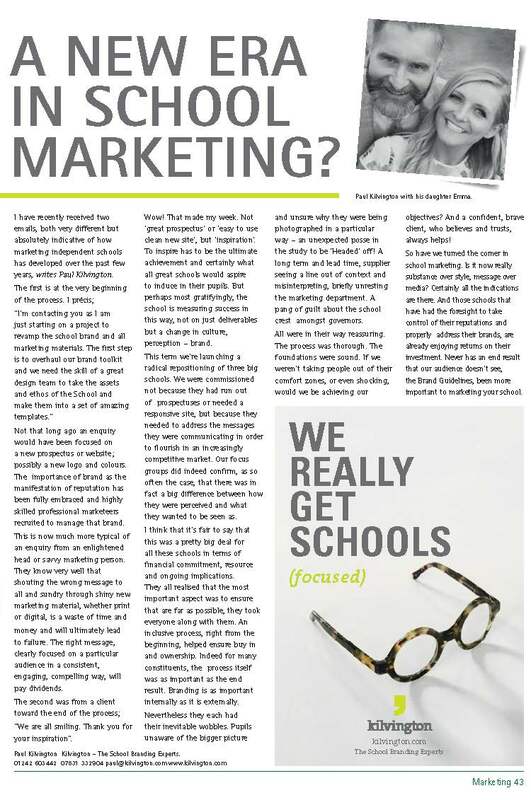 A New Era in School Marketing? Not that long ago an enquiry would have been focused on a new prospectus or website; possibly a new logo and colours. The importance of brand as the manifestation of reputation has been fully embraced and highly skilled professional marketeers recruited to manage that brand. This is now much more typical of an enquiry from an enlightened head or savvy marketing person. They know very well that shouting the wrong message to all and sundry through shiny new marketing material, whether print or digital, is a waste of time and money and will ultimately lead to failure. The right message, clearly focused on a particular audience in a consistent, engaging, compelling way, will pay dividends. The second was from a client toward the end of the process; “We are all smiling. Thank you for your inspiration”. Wow! That made my week. Not ‘great prospectus’ or ‘easy to use clean new site’, but ‘inspiration’. To inspire has to be the ultimate achievement and certainly what all great schools would aspire to induce in their pupils. But perhaps most gratifyingly, the school is measuring success in this way, not on just deliverables but a change in culture, perception – brand. This term we’re launching a radical repositioning of three big schools. 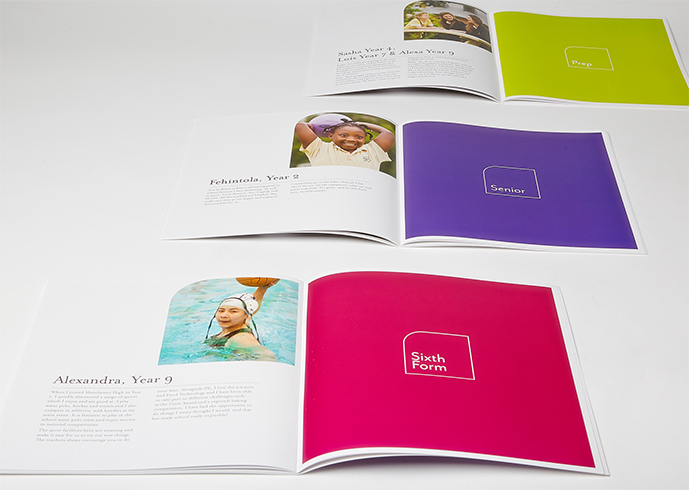 We were commissioned not because they had run out of prospectuses or needed a responsive site, but because they needed to address the messages they were communicating in order to flourish in an increasingly competitive market. Our focus groups did indeed confirm, as so often the case, that there was in fact a big difference between how they were perceived and what they wanted to be seen as. I think that it’s fair to say that this was a pretty big deal for all these schools in terms of financial commitment, resource and ongoing implications. They all realised that the most important aspect was to ensure that are far as possible, they took everyone along with them. An inclusive process, right from the beginning, helped ensure buy in and ownership. Indeed for many constituents, the process itself was as important as the end result. Branding is as important internally as it is externally. Nevertheless they each had their inevitable wobbles. Pupils unaware of the bigger picture and unsure why they were being photographed in a particular way – an unexpected posse in the study to be ‘Headed’ off! A long term and lead time, supplier seeing a line out of context and misinterpreting, briefly unresting the marketing department. A pang of guilt about the school crest amongst governors. All were in their way reassuring. The process was thorough. The foundations were sound. If we weren’t taking people out of their comfort zones, or even shocking, would we be achieving our objectives? And a confident, brave client, who believes and trusts, always helps! So have we turned the corner in school marketing. Is it now really substance over style, message over media? Certainly all the indications are there. And those schools that have had the foresight to take control of their reputations and properly address their brands, are already enjoying returns on their investment. Never has an end result that our audience doesn’t see, the Brand Guidelines, been more important to marketing your school. THE PROSPECTUS IS DEAD. LONG LIVE THE PRINTED PIECE. For many, the word prospectus conjures up tired, oversized A4 glossy brochures full of cliched language and slightly wooden, albeit apparently happy children. It is similar to the negative baggage associated with the word boarding. But just as boarding is actually quite different nowadays to how many perceive it to still be, the prospectus can and should be a very different animal indeed. As such, rather than being questioned with regard to its relevance today in the marketing mix, alongside websites, film and social media it should be embraced and focused on what is at its core. A brand is a sensory thing. It represents what an organisation looks, feels, smells, sounds and tastes like. And three of those aspects can be very effectively communicated through a clever piece of print. A creative printed element, informed by and supporting other marketing communication material is an immediate, user friendly way to really engage with your many and varied audiences and to get your messages across. It should be happy in its own skin and not try and emulate other media in the form of a downloadable pdf, tricksy electronic page turner or gimmicky pull out multimedia box set. Often the best brief is no brief. Many are too prescriptive, defining a print specification and a preconceived idea of content based on an existing document or what other schools have produced. This of course is to a certain extent, understandable, if nothing else to try and establish a bench mark for competitive tendering. But it should only be a bench mark. The end result should be very different. Not just for the sake of being different, but to really help define just how different and special your school is. The approach, direction, look and feel for your printed element must come from within. If your process started with a brand review then the research necessary for that will inevitably inform the route to be taken. If not, then focus groups will be invaluable to clearly identify messages and audiences and to help ensure buy in. This will also help establish the best way for the print to be used and distributed and then it’s format and structure. It may be that you decide not to send your print through the post. But if you do, make sure that it will fit through most letterboxes, and that its weight isn’t cost prohibitive. Perhaps the method of distribution might influence the direction. If accessibility and proximity to a railway station is an important differentiating factor and you are keen to generate increased local awareness, then a newspaper available from news stands might work best. For others a direct mail approach might be more appropriate, or an annual review. Whatever route you take it should be wholly appropriate to your particular school in every respect. Minimal text might work best for many but is not necessarily right for all – understand your audience. Close up photographs of engaged students have impact and strength but you may be missing a trick by not showing wide enough shots of your grounds and facilities – understand your product. First person or third person copy? Formal or more colloquial? – understand your brand. Methods of reproduction, print techniques and finishes are equally important. If a short or even personalised, print run is required then digital print will be the most cost effective and the design should be appropriate to that. If conventional litho is used then paper stocks should be carefully considered to enhance your brand values and design concept rather than following fashion. Similarly special print finishes, whether die cutting, embossing, foils, high build varnishes or binding techniques such as perfect, section sewn or simply saddle stitched but with copper staples, should be utilised for a specific purpose rather than to ‘gild the lily’. Carefully considered, beautifully crafted print, complimenting all your media streams and accurately communicating your brand will engage with your audience in an emotive way that digital media will never emulate. Embrace and celebrate it. Kilvington has been appointed by Burgess Hill School to develop a new brand identity, prospectus, website and film following the appointment of new Head, Kathryn Bell. Focus groups recently undertaken highlighted the importance of focus and clarity in developing a brand strategy and have helped formulate a direction for creative approach. Sometimes a school needs to shout quite loudly to shift misconceptions and really reinforce positioning and values. Watch this space! A very different project for Pipers Corner School entails helping to raise funds for an exciting £5m+ Arts Centre development. The build includes a Sixth Form Centre due for completion this September and a Theatre, Cafe and Learning Resource Centre due for completion September 2016. Initial research has informed the strategic approach and the team are already underway developing a brand identity and structured campaign. Our third project is for an existing client, Godolphin & Latymer. 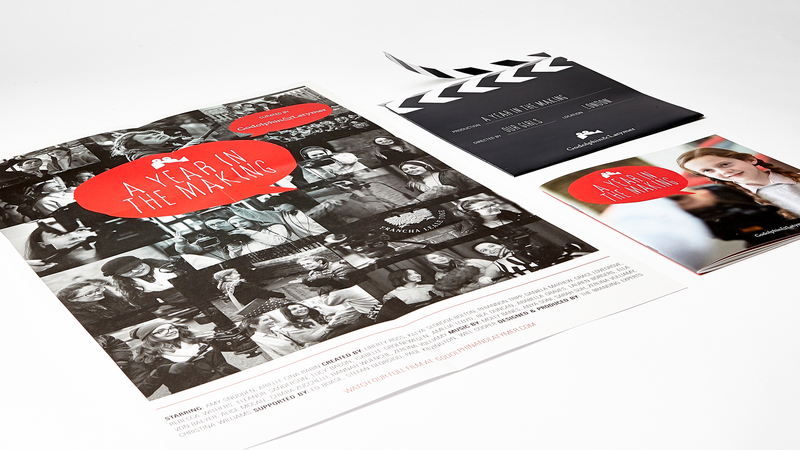 This follows on from the hugely successful “A Year in the Making” film and prospectus pack produced last year. Focused on Sixth Form retention and recruitment, focus groups conducted with girls and staff provided a real insight into what really makes the Sixth Form so special at G&L and how we might communicate that more effectively. A very different creative approach, building on the G&L brand and putting the girls at the heart of the proposition in an engaging and interactive way, is soon to be launched. This will combine film, digital and print. This month I’d like to take the opportunity to write about something very close to my heart and something I’ve been putting into practice for the past 25 years. It’s actually something about which all of you will be very concerned in your schools. You call it reputation and, more specifically, reputation management. I call it branding – and I strongly believe that it should be at the heart of everything you do in terms of communication and marketing. For some a brand is just a logo. And certainly a strong, distinctive and appropriate logo is an important element. But it is only one element. In reality, a brand is a shared set of perceptions combining reputation, ethos and values. It is what your school is known for – what it stands for. An emotional connection with your parents and pupils. 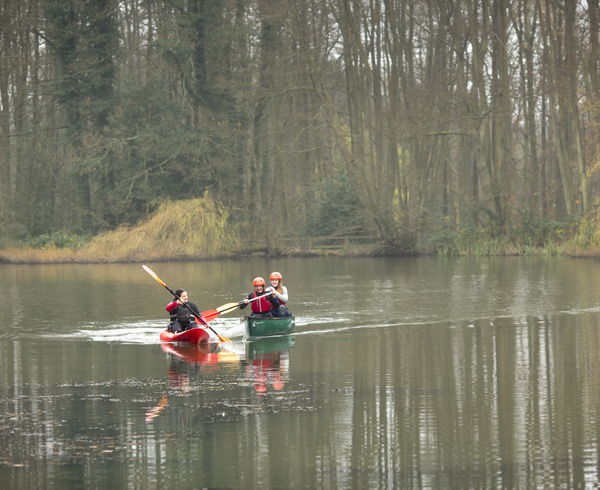 Brands have three primary functions; Navigation – helping parents and pupils chose. Reassurance – communicating the intrinsic qualities of your school and helping parents and pupils feel that they have made the right choice. Engagement – encouraging parents and pupils to identify with your school. Things that are integral to that brand are, the name of the school, design, style, words and symbols. 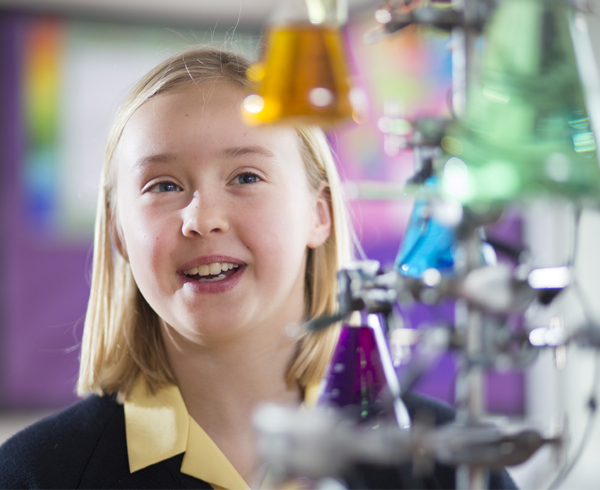 Everything that distinguishes it through the eyes of your prospective parents – and pupils. Importantly, it is the integration of all of those things to create a coherent and memorable message. But, In fact branding is much more than even those graphic elements. It also includes; what your school looks like, how it sounds, what it feels like, how it smells and even tastes. Do they all communicate the right message? Are they complimentary? Could they work harder? Brand identity takes disparate things and unifies them into whole systems. Brand Identity is an asset. So, what are the tangible benefits of branding? Well, perhaps most importantly, branding helps create a differential advantage, setting you apart from competitors and even providing an opportunity for premium pricing. It also has benefits internally, helping to create loyalty. Before embarking on any branding exercise it is important to establish what kind of school you are, how you are perceived, which schools you compete with and who you are attracting. Vision requires courage – an ability to imagine what others cannot see and the tenacity to deliver what you believe is possible. Behind every successful school brand is a passionate head who inspires others to see the future in a new way. 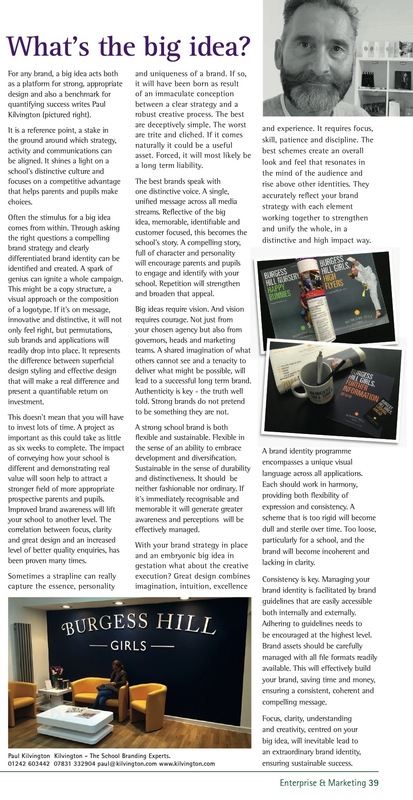 Having established what you are, what you want to be and what sort of pupil and parent, you want to attract, it is then important to put specific focus on your branding aims. Your focus may be; growth, to reverse a decline in boarding or simply, but essentially, to shift misconceptions. You may wish to become the first choice for a particular market or, indeed fundamentally, survive. In short you need to take control of and manage your reputation. To help do this you will have to develop a brand strategy, providing a structure and critical path to create a brand that is, coherent, competitive, compelling, consistent, distinctive and engaging. Effective brand strategy provides a central, unifying idea around which all behaviour, actions and communication are aligned. The best are so differentiated that they deflect the competition and are easy for all to talk about. To effectively manage your brand you will need both a clear understanding of perceptions and to link what actually goes on at your school with your brand strategy. A strong brand stands out in a crowded marketplace. People love strong brands, trust them and believe in their superiority. How a brand is perceived really affects its success. A strong brand is; customer focused – demonstrating a clear understanding of what they really want. Coherent – reinforcing your ethos and values, Consistent, delivering every time, Competitive – different or better and of course, Credible – ie. can it be substantiated? It is essential to manage your brand assets, developing standards and guidelines, launching internally and externally. Staying on message is the brand mantra. The best brands speak with one distinctive voice. Branding is a disciplined process used to build awareness and to communicate a clear positioning and core brand values. Fundamentally it is really about seizing every opportunity to express why parents and pupils should choose your school. Kilvington — The School Branding Experts. St Gabriel's school photoshoot for a new prospectus! Last week we spent the day at St Gabriel’s school in Newbury, photographing the girls and staff. This latest photoshoot at the school is for their new senior and sixth form prospectus, which we have been busily working on in the studio! We have worked closely with the school for around 13 years. Last year we gave their brand mark (which was originally created by us) a refresh and designed two new prospectuses for both the nursery and junior school. Here is a sneak peek at some of the photography from last weeks shoot! 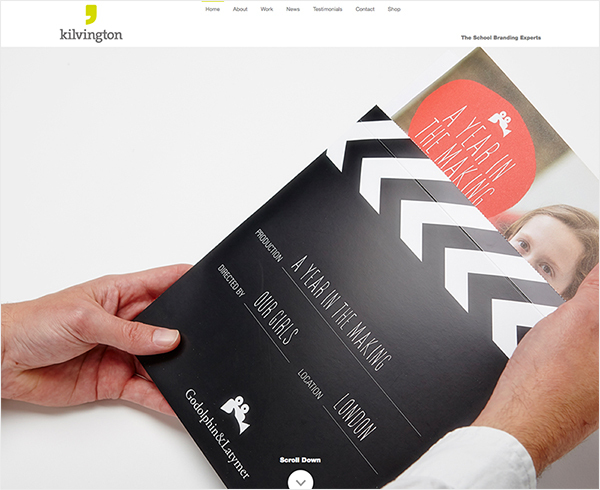 Brand identity refresh for Kilvington, founder of The School Branding Experts. As a team of like-minded creatives with lots of fresh ideas, we’ve taken the decision to refresh our brand identity. Using our founding name ‘Kilvington’ but still using our moniker, The School Branding Experts, for our education business. We can now reflect the full breadth of our work across many sectors and the diversity of school projects. We’ve also taken the opportunity to showcase all the great work we’ve been doing this year and have created this new, responsive, site. Our design objective was to reflect our ethos of putting creativity at the heart of everything we do. 15 years working with schools. We have become experts in the independent school sector. We bring a wealth of knowledge and in-depth understanding of the sector that provides a tangible benefit. This means we know how to interact with governors, leadership teams and parents. If you don’t see what you need or you need more information please get in touch or call us on +44 (0)1242 603442. We’re a pretty resourceful bunch at Kilvington, we’re passionate about design and we love a challenge. We’re launching our new brand at The Independent Schools Show at Battersea Evolution at the weekend. We’re there filming for the organisers for a third successive year. Our stand features our new IDEAS campaign – putting strategically led, big ideas at the heart of everything we do. Looking forward to seeing many of our clients and friends there. I believe that the best ideas, the great ideas, are born from a true understanding of your school, your audience and a real feel for a reason to buy. They come from spending time talking and listening, researching and analysing, questioning and understanding. And not just with the Head or the marketing department, but with the many stakeholders within a school – cleaning staff to Governors, teaching staff to pupils; perhaps most importantly the pupils. So often the best insights come from conversations with 10 or 11 year olds. They know the school so well. They don’t pull any punches. They say it as it is and often provide the words that make all the difference. Building a brand is very much like building a house. If everything is properly planned and managed, with the foundations firmly in place and focus groups with stakeholders undertaken, all will be well. With the structure established, creating kitchens and bathrooms, or websites and prospectuses are fun to do, informed by the architecture and ultimately practical and functional yet interesting and distinctive. You will find that everything will readily slot into place and feel just right. The house becomes a home. Your brand becomes the manifestation of your ethos and values in terms of look, feel, smell and taste. It’s distinctive, consistent, coherent and compelling. And so, therefore, is your communication and marketing material. Those brilliant ideas can then be born and come to life, safe in the knowledge that they are ‘on brand’, communicating the right message and reflecting core values. An interesting structure, an intriguing format, a witty interpretation, perhaps just a splash of colour. All will add character and personality. All will help build your brand, set you apart from competitors and help ensure that you are attracting the right people. Great ideas and good design takes no longer and costs no more than no ideas and poor design. Take time to choose the right designer then trust them to deliver for you. Try not to have a fixed, predetermined idea of what you want. Think more about what you would like to achieve and give the designers a little freedom. You are likely to be pleasantly surprised with the outcome. If it feels safe and comfortable it may well not work hard enough for you. Quite often there can be a big difference between what a school thinks it is, what it actually is and what others perceive it to be. Sometimes you need to shout quite loudly to shift those misperceptions and achieve commonality. Don’t be afraid of doing things differently. With the enormous amount of activity in a school and quite rightly, a focus on what really counts, educating children, tried and tested systems and procedure are a natural and convenient default. Shaking things up can be good. A different approach, a new medium, a change of direction can be a good idea. Very often a new Head is a catalyst for change and something new. Many of the brand identities, prospectuses and websites we have created are initiated by a new, or relatively new, head. But a review doesn’t have to be undertaken only at that time. Continual evaluation is key. Great brand strategy should be informed by and in line with your business strategy. It will help you plan, structure and detail just like an architect’s sheaf of drawings. It will provide a platform for those big ideas. It will help ensure that your end result, whatever that might be, is delivered on time and on budget. It will be a grand design. Your grand design. Paul Kilvington Kilvington, The School Branding Experts.